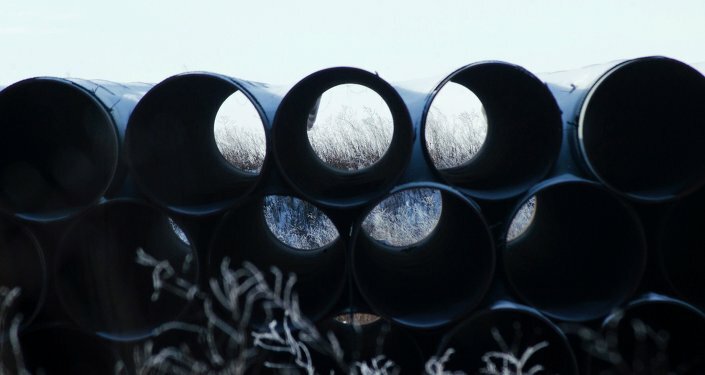 MOSCOW (Sputnik) - A federal court in Montana has ruled that TransCanada Corp, the operator of Keystone XL oil pipeline, must conduct an additional environmental review of the pipeline's new route, a move that could delay the implementation of the project and become a setback for the Trump administration, the Omaha World-Herald newspaper reported. According to the Omaha World-Herald, it is not clear yet whether the ruling will slow the construction, however, opponents of the pipeline have already welcomed the decision. Other media reports suggest that by this ruling the court has challenged the administration of US President Donald Trump, which advocates the project, and sided with environmentalists, tribal groups, and ranchers, who have been opposing the pipeline construction for years. In November 2017, the Nebraska Public Service Commission approved the Mainland Alternative Route (MAR) for the Keystone XL oil pipeline. When applying to the commission for its construction permit, TransCanada said the alternative route, that goes through five different counties and crosses several different water bodies, was viable but was not its preferred pathway for the pipeline. Environmental groups have argued that the new path for the project required a new environmental impact review, especially after the Keystone pipeline spilled more than 200,000 gallons of oil in the US state of South Dakota. In July, US State Department said in a draft assessment that the MAR would not have a significant impact on the environment in the United States including with respect to water, land, and wildlife. During the construction phase there may be minor impacts on pastures and croplands which the company can mitigate through the implementation of conservation measures, the review added. Last March, the State Department issued a permit for TransCanada to construct the $8 billion Keystone XL pipeline immediately after Trump approved the pipeline deal. One last section of the entire Keystone pipeline project remains to be constructed. Former President Barack Obama had previously blocked the project in 2015. The proposed Keystone XL 1,179-mile pipeline would carry up to 830,000 barrels of crude oil per day from the Canadian province of Alberta to the US state of Nebraska and down to oil refineries on the Texas Gulf Coast.